Fantasy Flight Games tells us a little about a new scenario to be released for The Game of Thrones board game. 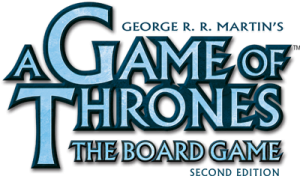 At this May 18th-20th event, FFG will debut a never-before-seen scenario for A Game of Thrones: The Board Game Second Edition. The A Dance with Dragons scenario will be made available as a Print on Demand expansion a few months after this exciting weekend, but attendees will have a chance to play it first. What’s more, each early registrant will receive an exclusive advance copy!